For information about Central Oregon Community College, call (541) 383-7700 endeavor Malerie Meets Melody Nine orphans now have a home as a result of COCC student’s work “Please take me home; take me home,” Melody begged of 19-year-old COCC student Malerie Pratt and Zambian social worker Violet Membe each day at the local nutrition center. Every day the 45-pound nine-year-old visited the aid center for a bowl of white cornmeal mush she shared with many other household members, sometimes as their sole daily meal. 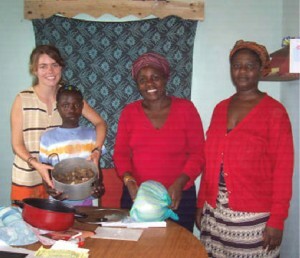 Not ready to return to the U.S. after completing a COCC study abroad program in Florence, Pratt had volunteered through an Italian relief agency to work at a nutrition center in Luanshya, Zambia, at the suggestion of her COCC adviser and instructor, Marlena Bellavia. Having spent part of her childhood in the Congo, Bellavia knew well the desperate needs in this region. 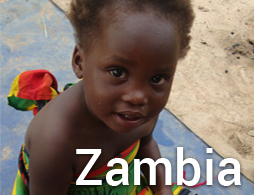 As they worked together, Pratt and Violet began to dream about the possibility of providing orphans with a loving Zambian home, proper nutrition, medical care and education to give Melody and other children a reasonable chance for a promising future. 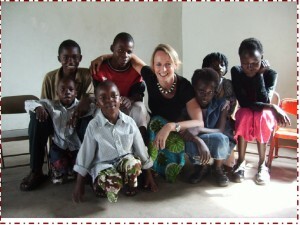 When Pratt returned to her native Bend in the summer of 2005, she, Bellavia and others formed the nonprofit VIMA Lupwa Homes. (VIMA is the first two letters of Violet’s and Pratt’s names and Lupwa is the local word for family.) Through various small local fund-raising activities, they raised $12,000 to buy the land and build a three- bedroom home with handmade materials and local labor. 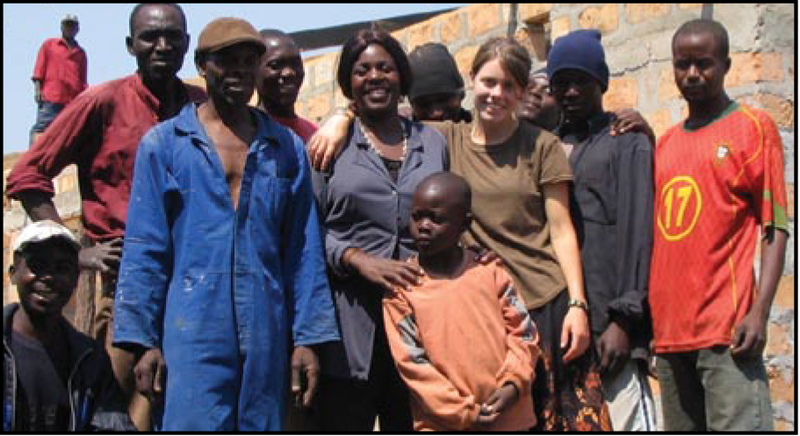 In January 2007 Pratt returned to continue her coursework at COCC and OSU-Cascades for one term before returning to Zambia once again, this time to help establish with handmade hand tools a 24,000-square-foot organic garden and a chicken flock to feed the household and provide income. She’s using, promoting and teaching environmentally sound practices, another concept to which she is committed. I am a native of Belgium, and from age 8 to 15 my family lived in the Congo. Although my father worked as a business consultant, he also was a paramedic, and thus our weekends were often spent traveling from one tiny medical outpost, leprosy village and malaria hospital to another. My initial desire was to pursue a career in medicine. When that was not possible, for myriad reasons, I pursued studies in cultural and linguistic anthropology, then earned a graduate degree in linguistics with emphasis on teaching. My life in Africa defined my perspective: We are all human beings with the same feelings, needs and rights. These values were imprinted permanently and meaningfully by having lived there. This particular experience has been a double wonder for me. First, I had the opportunity to help Malerie from the concept of the entire idea, to its inception, to actually building a home for orphans. The most amazing part was that, unbeknownst to both of us, Mikomfwa, the village where the home is located, is only about 60 miles south of where I grew up in Congo. So, when I took the time off to work with Malerie and the Zambian people on finishing up the home, it was like “going back home.” Not only have I found a new and renewed love for the people of Africa, but also for the way we can make a difference, both here and abroad...I am committed to this project and will return. My family is supporting my involvement by foregoing purchases and gift-exchanges so that we save the funds to pay my travel costs. Marlena Bellavia has been teaching French and German at COCC since 1982. She has started working with local authorities to secure permits for a well, which will cost $3,000 to $4,000. Providing food, water, electricity, clothing, education (including uniforms and supplies), medicine and transportation costs $800 each month for the entire household. The goal is for the home to become self-sustaining in the next two to four years. Then VIMA Lupwa Homes will start a second home. 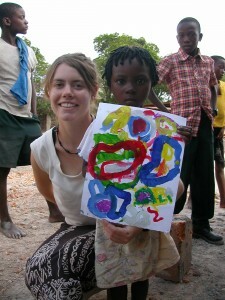 Now 21, Pratt has committed herself to helping others, realizing that even small improvements make a big difference. Her long- term educational plans include medical school with the goal of becoming a doctor and working in Africa or practicing in the U.S. to help support more projects. 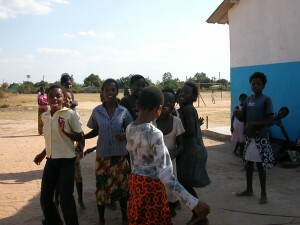 For information about the project and the children, visit http:// www.lupwahomes.org. 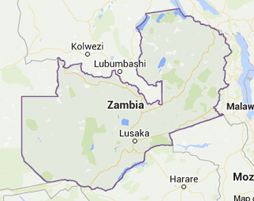 Zambia, a landlocked country in south-central Africa about the size of Texas, is plagued with disease and poverty. 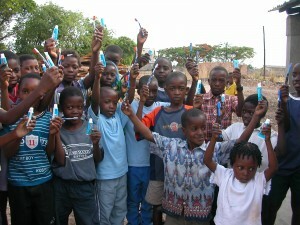 The AIDS pandemic affects nearly every household, and malaria and cholera are rampant. The unemployment rate is 89 percent and the average life expectancy is 39 years. Per capita average annual incomes are currently $395, placing the country among the world’s poorest nations.